PSP Chicago will be June 22-26 in Joliet, IL at CPX Paintball Park. The valid travel dates for this discount are June 19 – 30, 2011. Place Promotion Code 3461EP in the promotion code box and your discount will be calculated automatically. This special discount is valid off any applicable published fares listed for American Airlines, American Eagle, and American Connection. International originating guests will need to contact your local reservation number and refer to the Promotion Code. 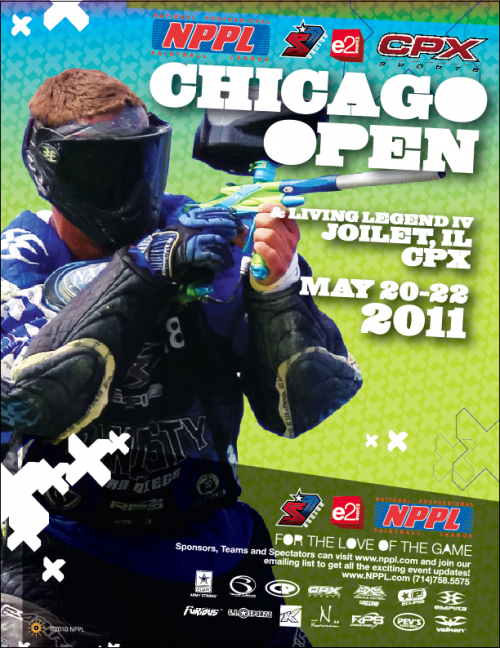 PSP Chicago will be June 22 – 26, 2011 at CPX Sports Park in Joilet, IL. There are many options for space rental. PSP Chicago is one of the largest events and the perfect opportunity to show off your merchandise, whether your company has been in the industry forever or if you are just starting out. The Chicago Open is 5 days long, so hundreds of people get to see what you have for sale. You can register for NPPL Chicago HERE.